Herb butter is great to use in any dish that benefits from the addition of herbs: pasta, steamed vegetables, fish, etc. 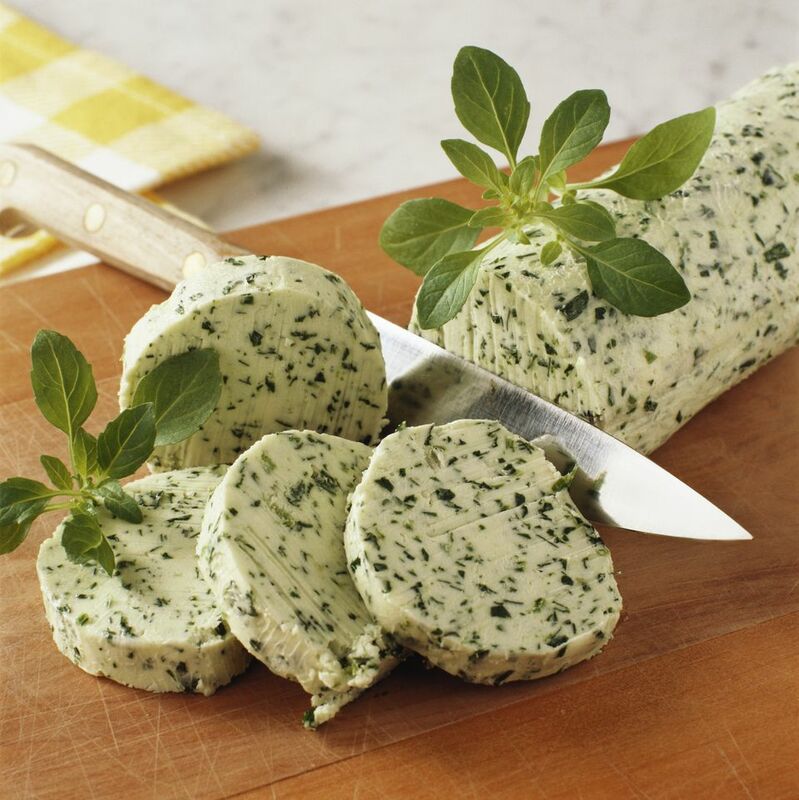 Herb butter is easy to make and keeps well in your freezer. It's great to keep on hand for jazzing up those last minute meals. Any combination of herbs will do here. Trying a mixture of any of the following: tarragon, chives, parsley, dill, rosemary, thyme, sage, dill or use a single herb. Chop the herbs as fine as possible. Cream the butter and herbs together with a fork. Add the lemon juice and salt to taste. On a piece of plastic wrap, shape the butter into a log about one inch in diameter. Wrap the log in plastic. The butter will keep in the refrigerator for a week or a month in the freezer. When you're ready to use it, just slice off a piece and place directly on the hot food. If the butter is frozen, let it warm slightly before using.